Every August in Little Tokyo Los Angeles brings about another fun filled Nisei Week of festivities that have been going on since the late 1930’s. The streets become alive with traditional dances, Tanabata streamers, parades, martial arts demonstrations (including Shinkendo), Taiko drum performances, and many cultural displays. 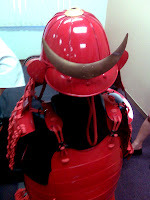 And regretably I missed this year’s Grand Nisei Week Parade (due to scheduling conflicts), I did manage to catch the some of the always popular Taiko groups and displays at the JACCC center that featured beautiful bonsai trees, Kabuki showcases, and my personal favorite from The Samurai Store, Samurai Yoroi Armor. Back in 2007, I had the privilege of meeting some of the exceptional craftsmen of the Samurai Store at the Japan Expo held at the Los Angeles Convention Center. 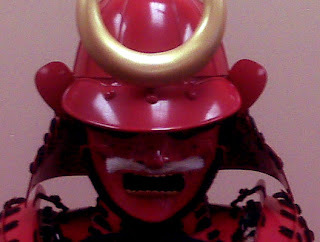 They were kind enough to even let me try on Ichimonji Retainer styled Yoroi made for the Akira Kurosawa film RAN. Now I have worked in the film business before and have worn everything from elaborate costumes to alien armor but nothing I have ever worked with compares to this. These authentic looking Yoroi is so well constructed you could probably fight in them and survive and that's because they take their work seriously just as the craftsmen did generations ago in Japan. Well fast forward three years later, these guys still remembered who I was and were kind enough to let me inspect their latest display for this years Nisei Week as well as try out their one Iaito sword. 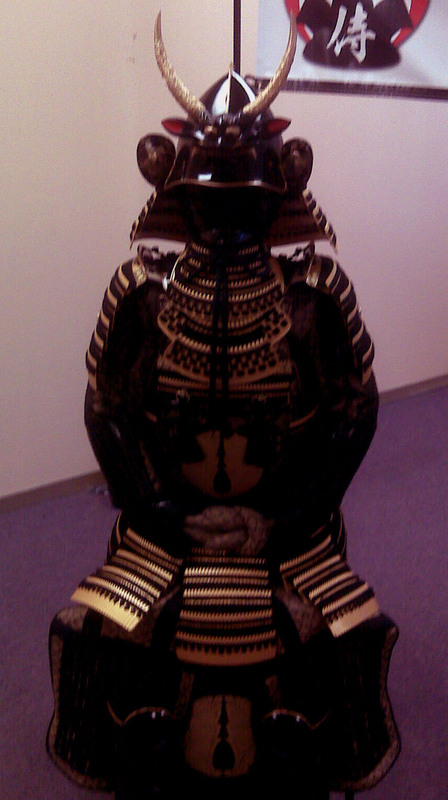 And as student of Shinkendo I can say I was impressed with their well crafted Iaito. 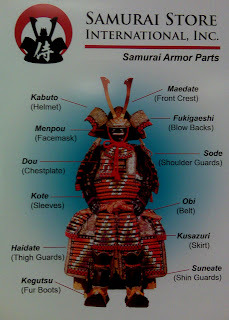 I would certainly would like to get one for my own use before moving up to a real shinken for tameshigiri (test cutting). As certainly as I can attest, the Samurai Store produces some of the finest Yoroi you can find without raiding a musuem or an actual castle! 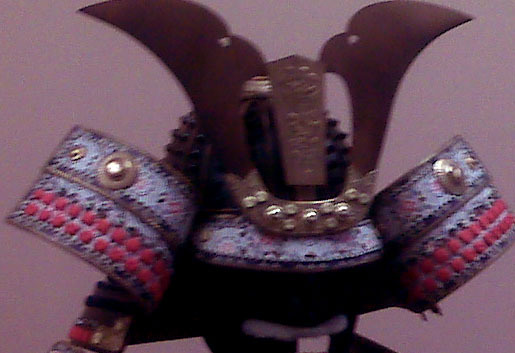 Based in Tokyo, the Samurai Store has been providing quality craftsmanship Samurai Yoroi for Samurai Films, Martial Artists, and Private Collectors. They do make custom armor and nobori to match any Clan replica or display. Of course, owning armor is quite an investment. For those looking swords for display or actual martial arts training, the Samurai Store also makes quality Iaito Swords which are excellent for Shinkendo Tarengata & Iaido demonstrations. 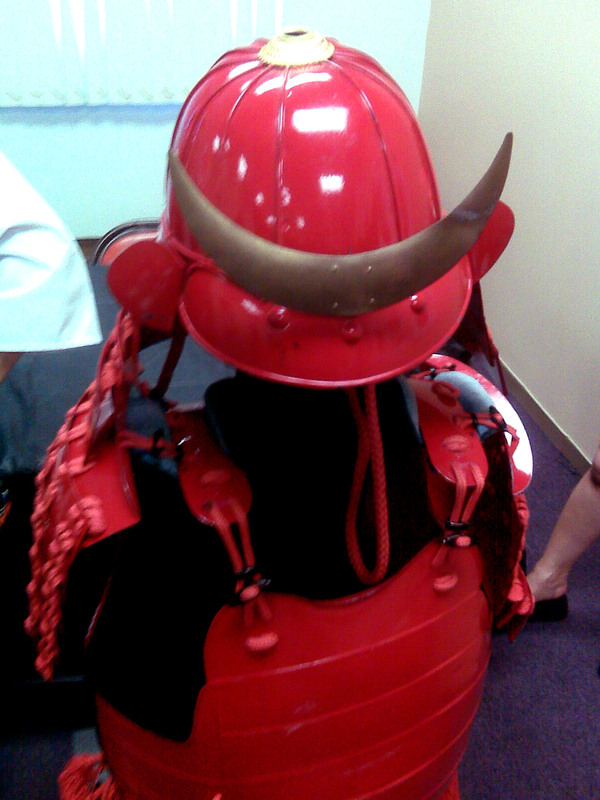 So if you are looking for some quality work from Japan or just looking to live out your Samurai dreams, talk to the Samurai Store. Enjoy!